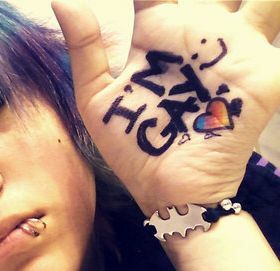 The word “gay” generally means to be happy, carefree or bright and showy. Gay refers to the feeling of happiness that one experiences when one is satisfied. Ralph Waldo Emerson had once remarked, “A man is relieved and gay when he has put his heart into his work and done his best; but what he has said or done otherwise shall give him no peace.” But the word gay is also used to indicate homosexuality in males. The term gay is synonymous to the term lesbian for women. All males who are physically related or attracted to other males are called gay. Homosexuality in males started and gained ground in the 19th century. Leonardo Di caprio had once remarked, “If I want to go to a party with a few male friends, it doesn't mean I'm gay.” Homosexuality in males is considered as a taboo in several societies across the world.